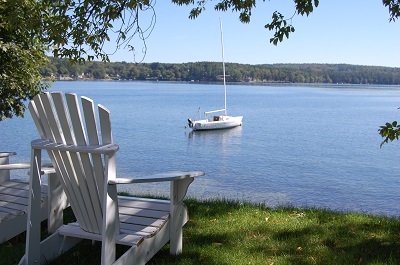 Golden View is located in Meredith, the heart of New Hampshire’s beautiful Lakes Region. Surrounded by Lake Winnipesaukee, Squam Lake, Winnisquam, Waukewan, Kanasatka, Wicwas, Pemigewasset, Winona, and Newfound Lake, Meredith is the perfect vacation or staycation destination. At Golden View, residents and their visitors have access to New Hampshire’s largest lakes, as well as the several unique shops downtown Meredith has to offer. Golden View is close to attractions like The Winnipesaukee Playhouse, Hermit Woods Winery, Squam Lakes Natural Science Center, Gunstock Mountain Resort, the White Mountains, and more. To learn more about the NH Lakes Region, please visit the Meredith Area Chamber of Commerce and the Central New Hampshire Chamber of Commerce.